Keep Out! 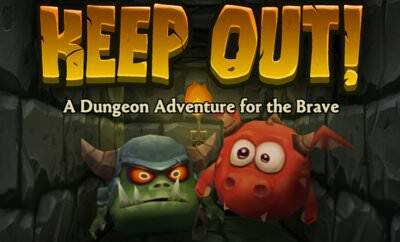 is a 3D WebGL Dungeon Crawler. We use the "keyboard" or the "fingers" to fight through automatically generated levels. Collect money, buy better stuff and don't try to get some potions while slashing the enemies. More role playing games als for your mobile phone or tablet. You are here: Home » Online Games » Role Playing Games » Keep Out!